Editor's Note: This op-ed by Enough Project senior fellow Ken Menkhaus originally appeared on Foreign Policy. In Somalia, a year-long military offensive by Kenyan and Somali forces has succeeded in capturing the strategic seaport of Kismayo from the jihadi group al-Shabaab. The liberation of Kismayo is a major setback for al-Shabaab, but is also a big test for the African peacekeeping force—the African Union Mission in Somalia, or AMISOM—and the new post-transition Somali government of President Hassan Sheikh Mohamud. If the Kenyan forces win the war but lose the peace—by mishandling how the liberated city is administered by local authorities—it could create new clan conflicts, drive disaffected clans into tactical alliances with al-Shabaab, and undermine the new Somali national government. The stakes are very high. Since the onset of state collapse and civil war in 1991, Kismayo has been Somalia's Sarajevo—a chronically contested city, at times half-emptied by armed conflict, at other times bloated with hundreds of thousands of internally displaced persons. It has changed hands many times over the past two decades but has always been in the control of warlords or jihadists and has never enjoyed a day of good governance. Rival Somali clans in Jubbaland—the region of southern Somalia where Kismayo is located—have never been able to agree on how to share the city and have repeatedly fought over it. Even al-Shabaab suffered an internal armed battle over control of the seaport in 2008. Thanks to years of political violence, Kismayo has a well-earned reputation as the most difficult and dangerous place for aid agencies to operate in all of Somalia. This history of violence and instability is tragic, as the city has the potential to be one of the most commercially vibrant, cosmopolitan urban centers in Somalia. The city's main value is as the site of an international airport and an all-weather seaport near the Kenyan border. Proximity to the large Kenyan market makes trade through Kismayo's port very attractive; the seaport alone generates lucrative customs revenue for whoever controls it. Al-Shabaab wrested control of the city from a clan militia in 2008 and reportedly earned about $40 million per year from the seaport, mainly from the illegal export of charcoal to Gulf state markets. What kind of fallout should we expect from the capture of Kismayo? 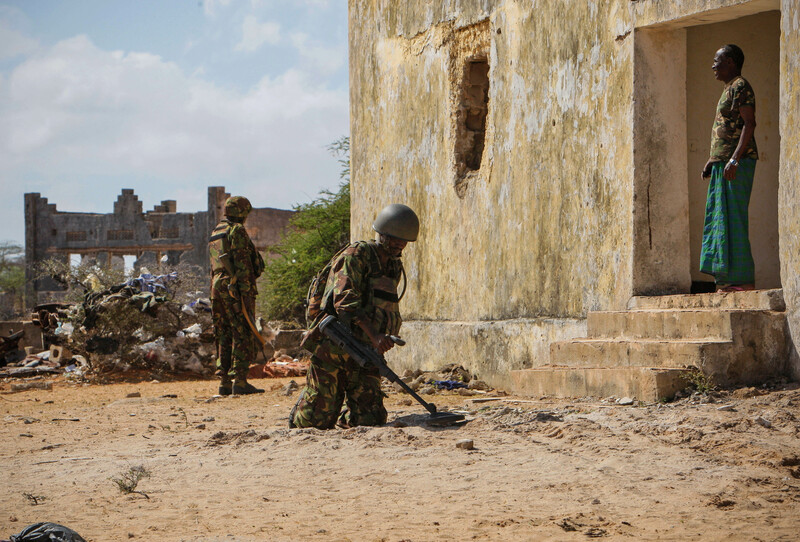 First, the seizure of the city is a big blow to al-Shabaab. The group will now be operating on a far smaller revenue base and will have to seek alternative sources of funding as it regroups in remote interior areas of southern Somalia. The loss of Kismayo will make it much more difficult for al-Shabaab to move jihadi fighters and weapons into Somalia. And the loss of Kismayo reinforces a widespread perception among Somalis that al-Shabaab is a losing cause, which is likely to increase the number of defections from the group over the next year. The Islamist group, which since mid-2011 has lost control of a series of urban areas, including parts of Mogadishu, Afgooye, and Merca, has reportedly left in place a network of jihadi cells in Kismayo. They intend to bog down Kenyan forces with asymmetrical urban guerrilla warfare using assassinations, suicide bombs, and improvised explosive devices. In the short run, Kismayo will be unstable, violent, and difficult for AMISOM, humanitarian agencies, and Somali government authorities to navigate. Kenyan forces will be tested by attacks in a new and much more difficult urban environment. If they respond too aggressively to terrorist attacks, they risk killing civilians, which could quickly turn Kismayo's population against them. Faced with threats by al-Shabaab operatives who have now melted into the civilian population, citizens are unlikely to volunteer to help the Kenyan forces identify al-Shabaab insurgents. Until al-Shabaab can be slowly weeded out, this will be Kenya's most difficult moment in Somalia since it first intervened. Humanitarian needs are reportedly high in the city, and international aid agencies have come under pressure to move in quickly behind the Kenyan forces to provide assistance. But aid agencies must be given time to work out security and operational complexities in the city. Rushing in with aid supplies before doing essential groundwork will only get people killed. Kenyan forces and local Somali officials must appreciate the fact that, to maintain some semblance of neutrality, humanitarian agencies need to keep a certain distance from foreign peacekeeping forces engaged in active armed conflict. This is essential for the safety of aid workers, and it is not a matter to be taken lightly in a country that has witnessed many casualties of humanitarian workers. The biggest challenge is the process by which a Somali local administration is formed to administer Kismayo. As the Enough Project has argued elsewhere, Kismayo cannot be allowed to fall into the hands of a narrow coalition of clan interests that impose a "victor's peace" on the city. If this occurs, other disgruntled clans will reject the outcome and may very well turn to al-Shabaab in a bid to oust the new administration from the city. Click to continue reading on Foreign Policy.